SACRAMENTO–JJ WEDICK stared across the hotel room, looking at PHIL KITZER folding some clothes. He knew he couldn’t wait any longer. “Phil, I can’t go with you to HAITI,” he said. He was sure his comment would trigger an argument. KITZER stopped folding his clothes and looked up. “What are you talking about,” he said, “we just bought plane tickets,” pointing to the travel agency receipt on the dresser. They were staying at the SHERATON FOUR AMBASSADORS HOTEL, sharing a suite, overlooking Biscayne Bay. KITZER liked staying at the hotel whenever they were in Miami. It was more like staying at a high rise condominium than staying in a hotel. Its layout provided guests a certain amount of anonymity, which he liked. Moving about the complex, which included four towers, he liked being able to get on an elevator or leave the hotel without management taking notice. It also fielded splendid views of Biscayne Bay and the Virginia Key where they often dined, eating at the Rusty Pelican. Days earlier, in New York, KITZER told WEDICK he wanted to pick-up some money in Miami before they moved-on to the Caribbean nation. Not wanting to talk about the trip WEDICK simply nodded. They were in FRED PRO’s office. Not a good place for a private conversation … much less an argument. He put off talking about going to HAITI because he knew KITZER expected it. But he couldn’t put off the conversation any longer. Selling loan commitments PRO paid premium dollars renting office space at 128 Central Park South. Occupying a suite of offices he also rented an oversized apartment with a built-in sauna … all located on the 4th floor. He liked to brag he shared the residence with two live-in girlfriends … both models. Inside the apartment he had commanding views of NYC’s famed Central Park. But KITZER wasn’t impressed. He reminded PRO when it came to money. PRO paid him … and “not” the other way around. He also told PRO he was making a mistake being so visible. KITZER said the address only made it easier for the FBI to find him when it came time for agents to execute subpoenas seeking records. Which KITZER said was going to happen. But PRO ignored him. They operated differently. PRO liked the visibility. He told KITZER he had lawyers to handle the FBI. He wasn’t worried. He enjoyed the short walk to and from the office saying he worked hard setting up TRIDENT CONSORTIUM and didn’t miss trying to catch a cab in rush hour traffic. Talking about the upcoming trip to HAITI KITZER reminded WEDICK he scheduled meetings with the front-man attorney they used setting up, “FIRST NATIONAL CITY BANK OF HAITI [FNCBH].” Spending months raising seed money for the new offshore bank he said the time had come to make it operational, but first they had to pay off some government officials. He expected WEDICK to accompany him on the trip, as he did JACK BRENNAN since they agreed to be bank officers. What KITZER didn’t realize or know was WEDICK and BRENNAN were two FBI Undercover [UC] Agents and he had been targeted for investigation in case code named, “OPFOPEN; MAJOR CASE #1; Office of Origin [OO]: Indianapolis [IP].” The case carried with it the added distinction it had been designated MAJOR CASE #1 under the Bureau’s new case management system with White Collar Crime [WCC], Organized Crime [OC] and National Security investigations becoming the FBI’s top three priorities. Leaving New York, KITZER promised PRO by month’s end the new offshore bank would be operational. He made the assurances to PRO and a couple of wise-guys in the GENOVESE and LUCCHESE crime families wanting to use the bank to take control of the BROOKHAVEN SERVICING CORPORATION [BSC], also known as [aka] the BROOKHAVEN MORTGAGE COMPANY, in Melville, Long Island. A “liquidation” expert, PRO wanted to buy BSC, but he needed KITZER’s help. BSC was in “bankruptcy.” Taking control of BSC, he said mobsters JOE TROCCHIO and his crew planned to use the company’s loan portfolio totaling $150 million to make street loans. And in more sinister plot, said VINNIE DINAPOLI wanted to develop a boutique hotel that catered to the “gay” community in Fort Lauderdale so mobsters could extort guests visiting the venue. For weeks WEDICK and BRENNAN tried to get travel authorization to accompany KITZER to HAITI, but the Bureau said it was too risky and dangerous. Per chance something went wrong officials said they didn’t have the means to get the agents out of the country. Under the murderous rule of JEAN CLAUDE “BABY DOC” DUVALIER, news reports said the tiny island nation ranked among the most corrupt … a perfect venue for KITZER and his bank, but an extremely dangerous environment for the agents. Under BABY DOC’s rule law enforcement experts said government henchmen looted the country’s treasury funds totaling approximately $504 million. On the western side of the Island of Hispaniola in the Caribbean Sea, HAITI is located between the islands of Cuba and Puerto Rico, with the Dominican Republic on its Eastern border. Not going to HAITI, WEDICK knew he should have said something earlier to KITZER, but feared the revelation would undercut the UC operation … maybe even end it. The bank was KITZER’s signature project. But looking at the plane tickets he knew he couldn’t postpone the conversation any longer. He had to break the news to KITZER. Choosing his words carefully WEDICK told KITZER he had a “secret” to tell. 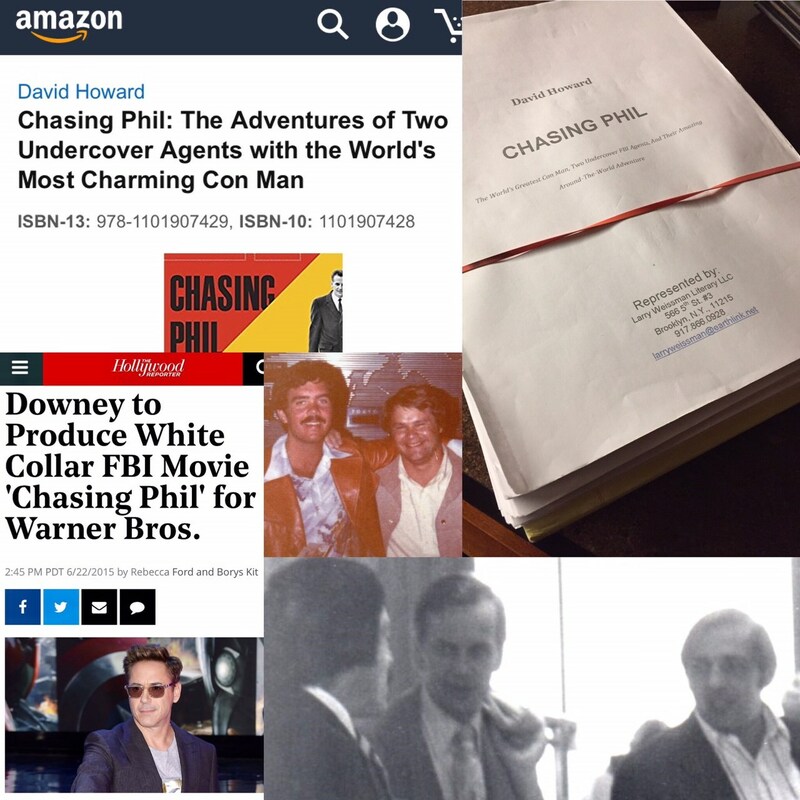 HOWARD credits the agents with ushering in a new Bureau era … where agents conducted more sophisticated investigations, using undercover agents and electronic surveillance [targeting Organized Crime, White Collar Crime and Public Corruption] versus car thefts and bank robberies under FBI Director J EDGAR HOOVER. In the FBI for almost 35-years whose experiences include being an FBI undercover agent and later responsible for the FBI’s corruption squad in Sacramento, California, Mr. WEDICK’s career includes initiating the FBI’s “OPFOPEN” investigation that targeted globe-trotting conmen and Organized Crime [OC] figures using “offshore” banks to launder money, issue bogus securities and conduct fraudulent transactions; undercover roles in the ABSCAM probe where members of Congress were prosecuted for soliciting bribes; and investigating and prosecuting the sons of New York mobster JOE BONANNO in operation code named, “SKINBURN,” for defrauding hundreds of thousand dollars from businesses in California and Utah. In 1994, following a successful 3-year undercover probe in operation dubbed “SHRIMPSCAM” by the news media involving the California State Legislature, he received the FBI Director’s Award for prosecuting 5 California state lawmakers on RICO and corruption charges and his performance was cited in the U.S. Congressional record. Because the investigation involved a complicated “undercover” scenario using “bogus” legislation that required the specific approval of the FBI Director, he was nominated for the Attorney General’s Award and was featured in a LOS ANGELES TIMES SUNDAY MAGAZINE in an article captioned, “The G-Man, the Shrimp Scam and Sacramento’s Big Sting: FBI Agent JAMES WEDICK’s Undercover Operation Netted 14 Public Officials. But Has It Changed the Way the State Legislature Works?” by MARK GLADSTONE and PAUL JACOBS, dated December 11, 1994. In 1996-97, amid allegations suggesting Fresno area officials were seeking “bribes,” in exchange for favorable zoning changes, code named, “REZONE,” Mr. WEDICK prosecuted 17-defendants, including county officials, lobbyists and businessmen … all charged with violations of RICO and corruption statutes … again securing convictions. And because auditors suggested Medicaid Fraud had become the crime of choice amongst White Collar Crime [WCC] thieves, during period 1998 thru 2001, he launched 3-Health Care Fraud Initiatives prosecuting 324-medical providers with defrauding funds totaling in excess of $228-million. The successful FBI Initiatives attracted the attention of broadcast and print journalists alike, including MIKE WALLACE on 60 MINUTES and the LA TIMES who did a nine-part series detailing the fraudulent abuse of California’s Medicaid Program. You can follow JAMES J WEDICK on Twitter and LinkedIn.